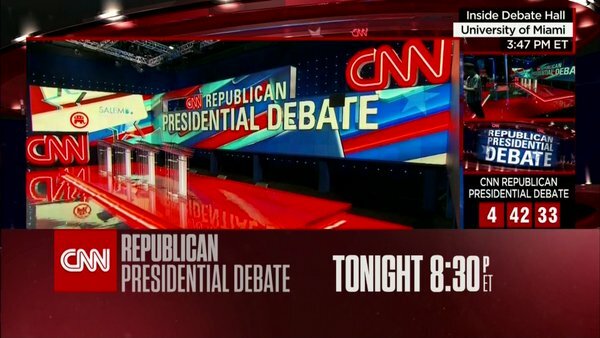 So corporate sibling Full Frontal, which is hosted by Samantha Bee and airs on TBS, sent out a mocking tweet, poking fun at CNN’s over-promotion of the debate: a lower third promoting it, a countdown clock, a still of the debate stage, and a live shot of the debate stage. Judging by the number of ‘likes’ and retweets it seems many Twitter followers took it at face value. Sam Bee was only intending to mock CNN with a funny graphic and with no intent to shill for a sister station. Oh well. Eye of the beholder, right? Love her new TBS show.